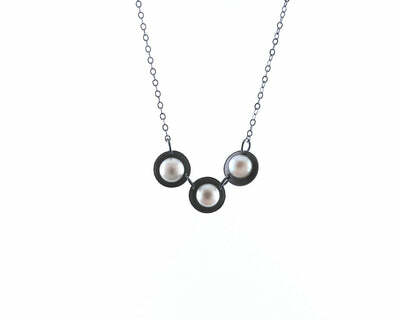 These lovely little earrings are made of oxidized sterling silver and fresh water pearls. 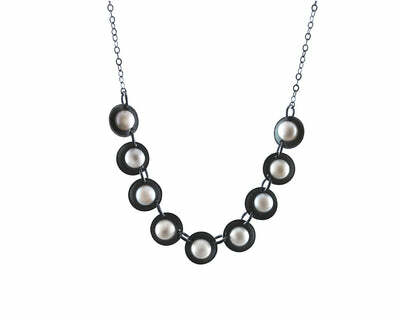 The oxidized finish on the silver contrasts beautifully with the white pearls. 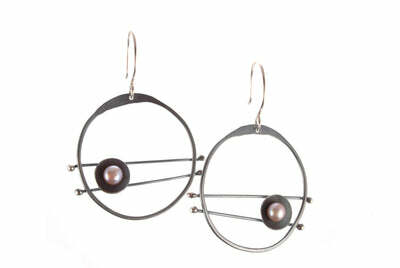 The earrings are 3/8" in diameter and hang on handmade sterling silver earwires.